Posted March 25th, 2013 by David Porter & filed under General, Hot Topics, MailBigFile, Social, Technology. 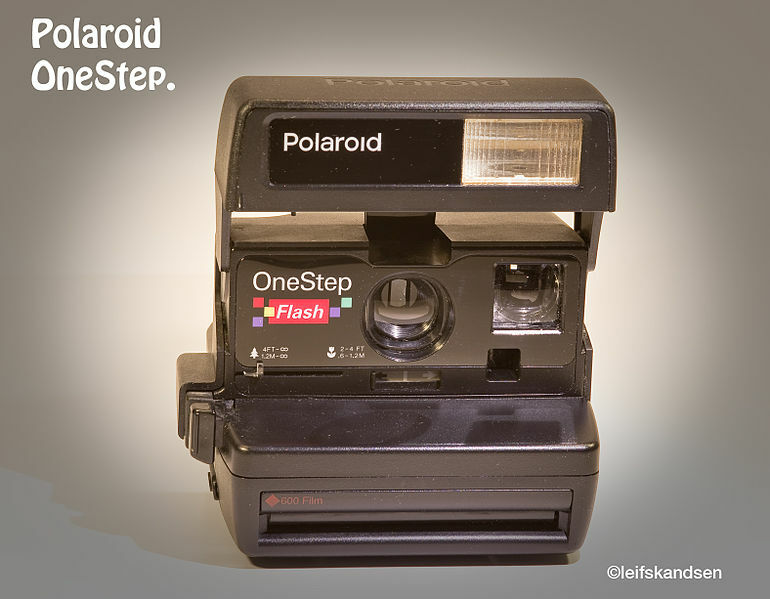 News just out – wait for it all you over 30 years of age – the Polaroid is set to return next year! No, the Polaroid is not some weird and wonderful Doctor Who-like hostile alien species, but an instant film camera, produced by the Polaroid Corporation of the USA founded in 1937 and they were the first makers of polarised sunglasses. The cameras were marketed from 1948 till 2008, when production ceased in favour of the new digital photography. Older readers may recall that Polaroid defeated Kodak in a lengthy patent war in the mid 1980s, which led to Kodak leaving the instant camera market altogether in 1986. Today, most people who recall Polaroids, even with affection, would have assumed they were safely dead and buried far longer than 2008, with just the odd specimen kept alive in technology museums. The paper to print photos has been unavailable too. The Socialmatic Instagram camera is reported to be far less bulky and clumsy than the original Polaroids. It will either print out photos on the spot or enable users to upload them to the web using WiFi. In technical terms, according to British GQ magazine’s Oliver Franklin (October 2012): ‘it has all the saturation filters and social network sharing of your smartphone app (it’s even designed to look like an iPhone icon) with the photographic capabilities of a real camera: optical zoom, LED flash and even a second lens for 3D snaps. Even better, it’s got a built in Polaroid-style printer’. The main appeal seems to be that while you can get apps to make your digital photos look like something out of your great grandfather’s scrapbook, this will produce something hot off the press with all that trendy retro-feel. Whether it will be anything more than a quirky, niche-market piece of fun kit, remains to be seen. What is interesting to those of us who comment on teh way technology impacts on society, is that something old is reinvented to make something new. And that’s not new either. Lots of people enjoy using old dark-room film developing processes, just for the pleasure of the laborious work. Others prefer the scratches and more earthy sounds of vinyl records to the contemporary ‘perfect’ sounds of digital enhancement. Like the above, the Post Code also has a real purpose nowadays, which was not dreamed of by its inventors. British Postal districts were named in London and large cities from 1857, refined in 1917 to include numbered subdivisions, extended in 1934 and incorporated into the UK post code rolled out nationally between 1959 -1974. Electronic sorting for mail delivery depends on post coding; Royal Mail decided to phase out counties as part of addresses. They now find any residence by building name/number, street and post code alone. Among other uses,the post code has been given a new lease of life in satellite navigation systems to locate specific addresses. The codes are used by insurance companies to assess premiums and risk for motoring and domestic policies. Crime rates can be matched to them, as can socio-economic groupings for data research and marketing. You will know the symbol if not what it’s called. It’s a strange surviving quirk of history going back to the Romans, this logogram representing ‘and’. It joined the Latin letters for and, ‘et’ to make the squiggle we know. The word itself reached a dictionary in 1837, made up from ‘and per se and’, meaning: ‘the symbol which by itself is’. Historically, as webdesigner depot explain, ‘and per se’ preceded any letter in the alphabet that was also a word in its own right (‘I’, ‘A’), and was the last character in the alphabet. It has dropped out of the alphabet, but is still used in contemporary expressions, like business titles ‘& Sons’, or other titles: ‘Dungeons & Dragons’. Text messaging and on-line shorthand use it widely, and it’s common in programming, like MySQL, C and C++, XML, SGML and BASIC. Used globally to denote the location of an email address, in some countries the typographic sign @ simply means ‘The Internet’ itself. In fact, it was the advent of the world wide web and early emails that gave new life to a virtually moribund symbol. The 1885 keyboard of the American Underwood typewriter had it, mainly for accounting and commercial invoices, for example: 9 items @ 15 cents = $1.35. Some think the mercantile shorthand began from abbreviation of an ancient Greek preposition meaning ‘at the rate of’, or later Latin ‘per’. Medieval monks transcribing documents sometimes put it next to numerals, to indicate ‘about’ or ‘by’. A Spanish document about wheat in 1448 and an Italian one from 1537 about the price of wine are believed to carry @. In Spanish & Portuguese it’s long been a symbol for a unit of weight. In 17th century France and Sweden it may have also meant ‘at’. Today in Iberian tongues, it can be used as a gender-neutral ending to words, for example, ‘amigos’ (friends). If the friends are both men and women, it can become ‘amig@s’, though not all native speakers accept that. Through online forums, blogs and microblogging and text messaging, it’s use is evolving. It can be a substitute for other symbols or meanings, and in computer programming it has become part of the vocabulary, without attaining universal agreement on precise usage. Different languages have different words for it: Italian, ‘snail’; Dutch, ‘monkey tail’; Hebrew, ‘Strudel’; Chinese, ‘little mouse’; Swedish and Danish; ‘elephant trunk’; Finnish, ‘meow, meow’ and Russian, ‘dog’. Whatever it is called, it’s here to stay: a code-symbol from the past meeting the present and being valid for the future.